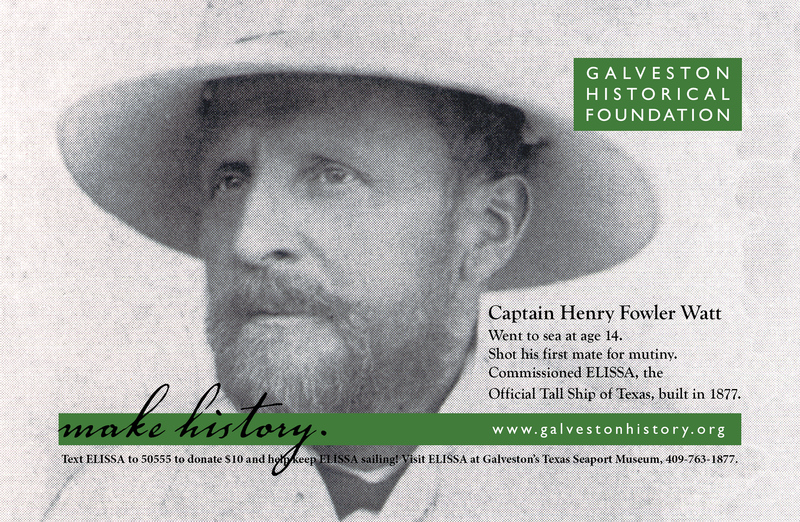 Galveston Historical Foundation (GHF) was formed as the Galveston Historical Society in 1871 and reincorporated in 1954 as a non-profit organization devoted to historic preservation and history in Galveston County. 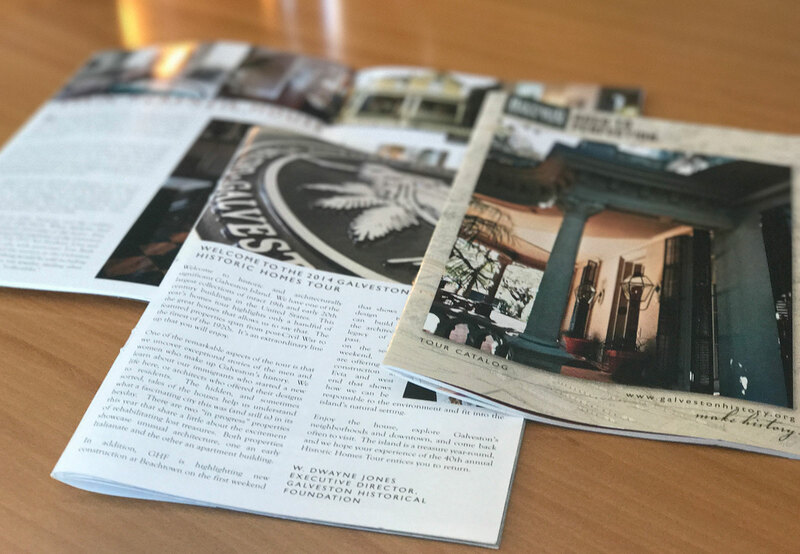 Over the last 60 years, GHF has expanded its mission to encompass community redevelopment, historic preservation advocacy, maritime preservation, coastal resiliency and stewardship of historic properties. 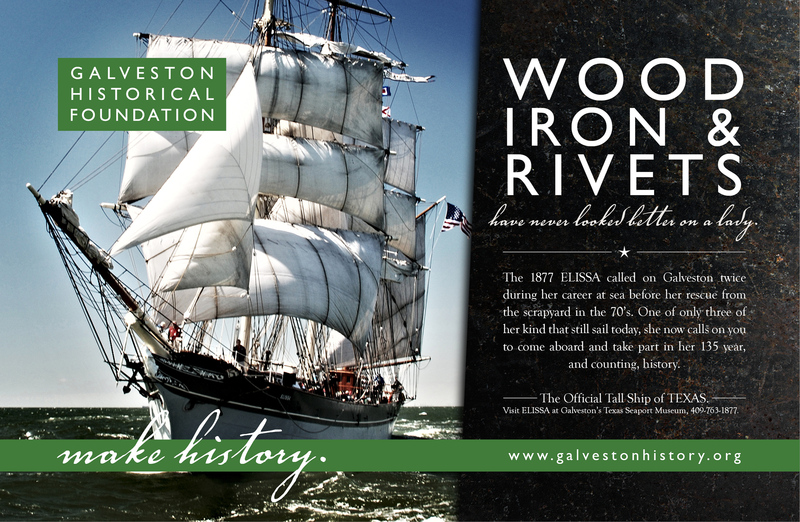 The Tall Ship ELISSA is the Official Tall Ship of Texas and one of only 3 of her type to actively sail. Ad placement in Houston Texans and Houston Astros sports programs. Over the last 60 years, GHF has expanded its mission to encompass community redevelopment, historic preservation advocacy, maritime preservation, coastal resiliency and stewardship of historic properties. 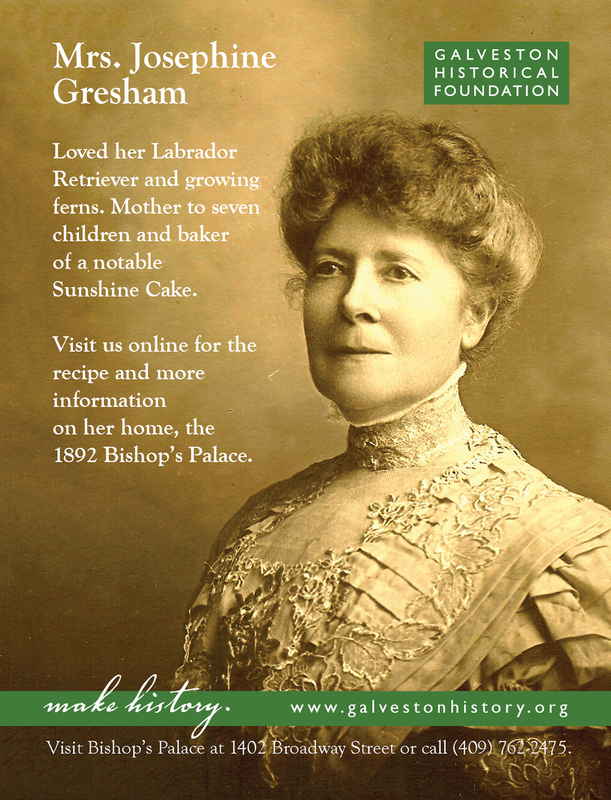 Regional ad campaign highlighting various notable Galvestonians. 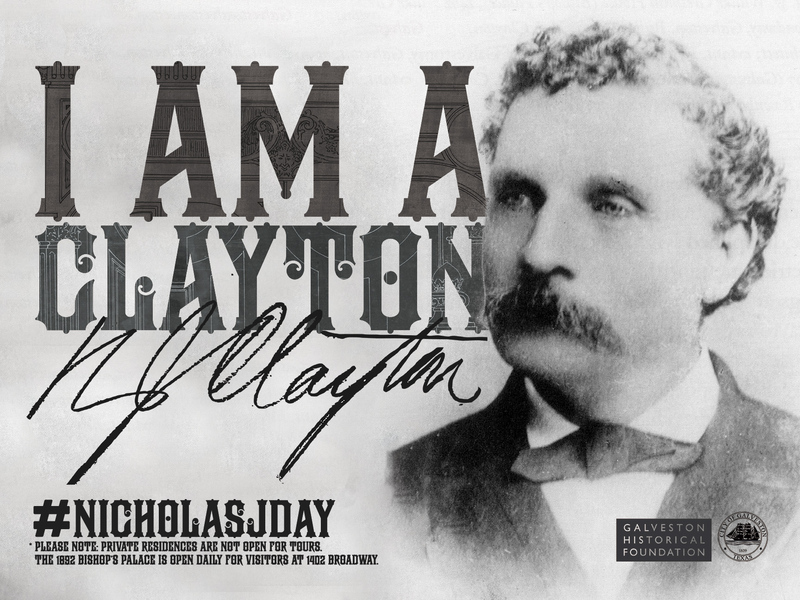 Celebration of famed Galveston architect, Nicholas Clayton. 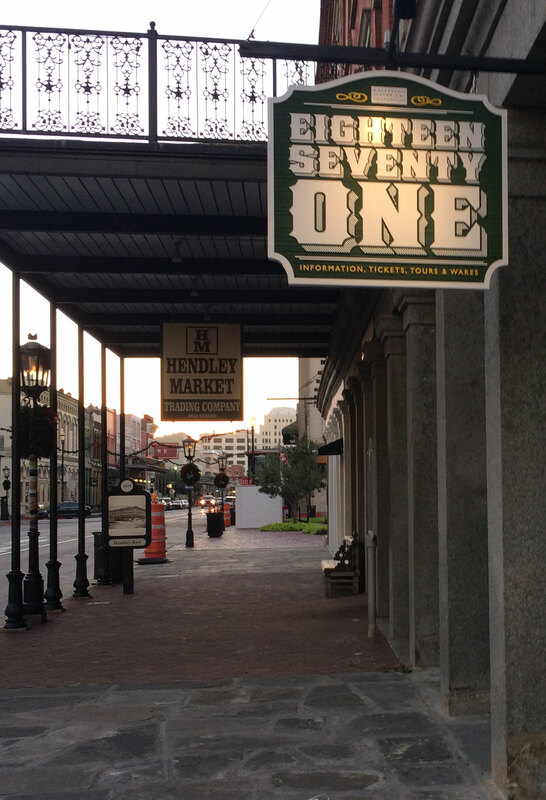 Signs were placed throughout the island on buildings he designed in celebration of his 175th birthday. 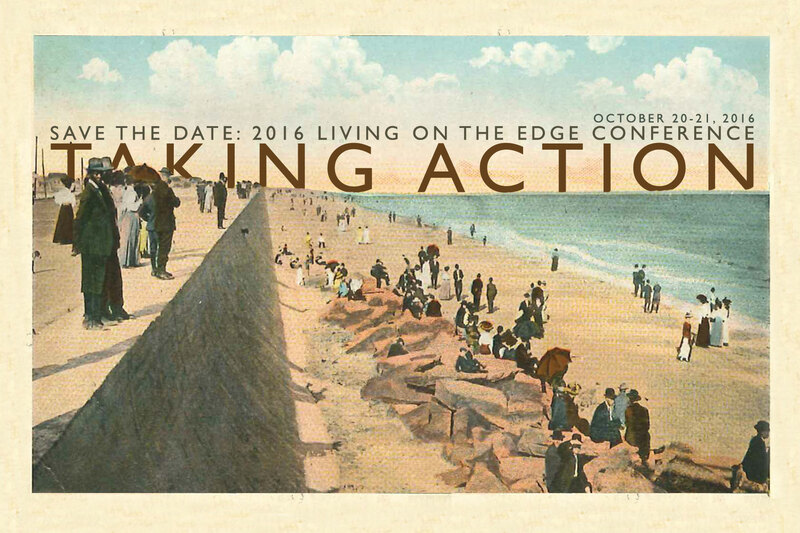 Save the date card for annual conference on Gulf Coast resiliency. 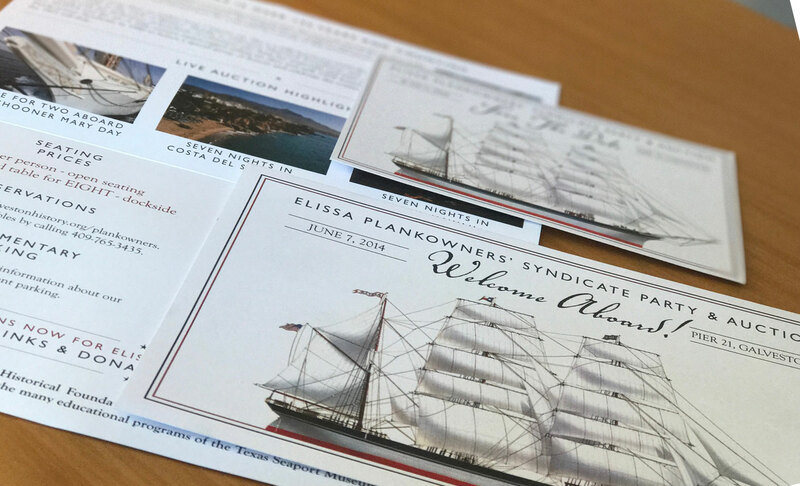 Annual gala benefiting the 1877 Tall Ship ELISSA and the many educational and training programs of the Texas Seaport Museum. 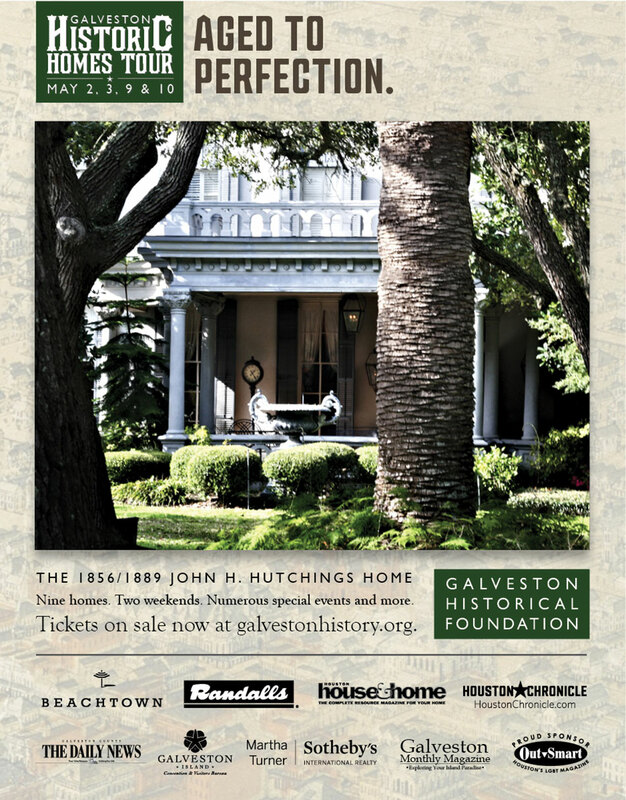 Annual tour of Galveston’s architectural history through public tours of privately owned homes. Galveston Historical Foundations retail location located in The Strand National Historic Landmark District.